Introducing new member to Kerala home design viewers, Forms 4 architectural from Kerala. Presenting 1066 Square Feet (197 Square Meter) (236 Square yards) single storied house with an estimated cost between ₹12-15 lakhs (July 16, 2018). This is a budget oriented design, here we included 3 bed rooms and some extra spaces like prayer, internal courtyard etc which makes the design elegant and unique. 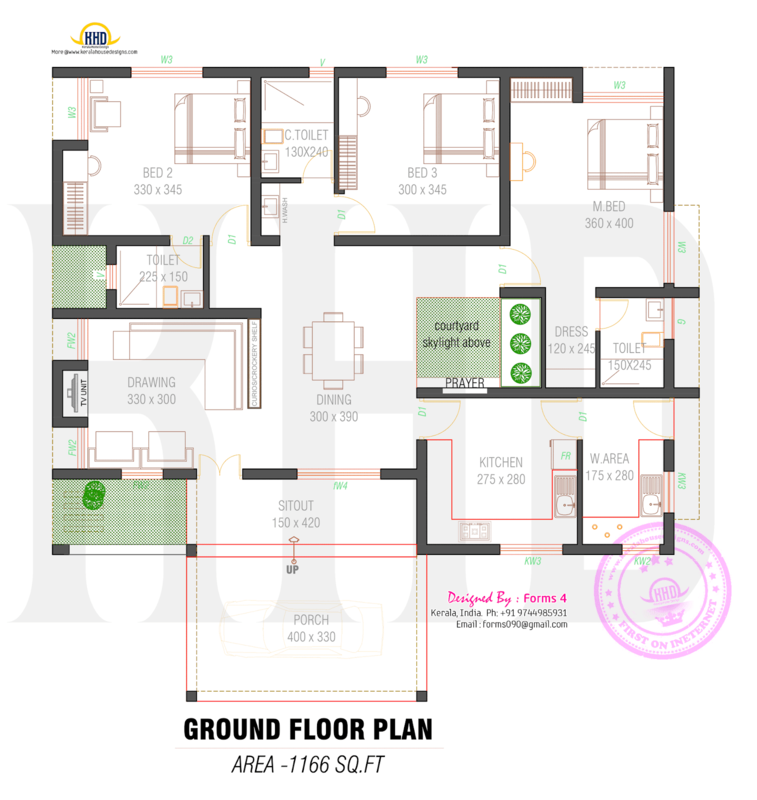 0 comments on "Budget oriented home plan by Forms 4 architectural"